FRANKFORT, Ky. (March 22, 2019) – The Department for Local Government (DLG) has announced funding from the Appalachian Regional Commission (ARC) and the State Flood Control Matching Grant Program for the City of Mount Vernon. 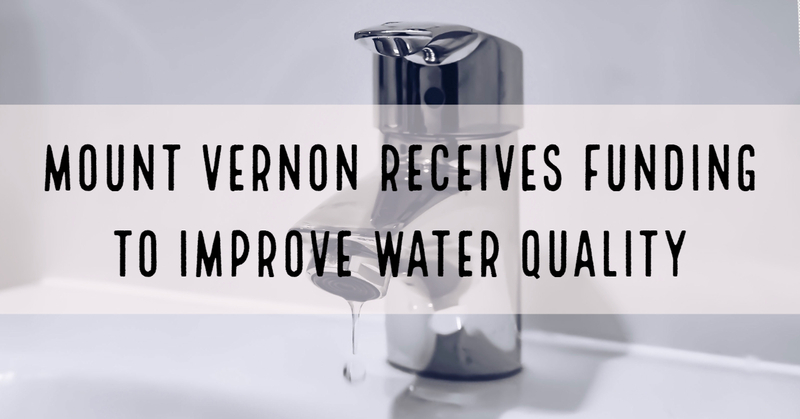 These funds – $165,000 from the ARC and $250,000 from DLG through the Flood Control Matching Grant Program – will allow the city to make improvements to its water treatment plant that will eliminate persistent water quality issues. Nutrient-rich runoff in the watershed that flows into Lake Linville, which supplies water to the city, contributes to algae blooms during the warmer months. These blooms affect the taste and smell of the water even after treatment. The project includes the construction of a powder activated carbon (PAC) reactor basin and PAC storage building, as well as the installation of feed equipment. In addition to funding from the ARC and Flood Control Matching Grant Program, other federal sources will contribute $750,000 toward the project. The total expected cost of improvements to the city’s water treatment plant is $1,165,000. The Flood Control Program uses state bond funds as grants to help meet cost-share match requirements associated with flood mitigation projects funded by the U.S. Corps of Engineers, the Federal Emergency Agency (FEMA), the Natural Resources Conservation Service (NRCS) and USDA Rural Development. Examples of projects previously funded through the program include small dam reconstruction, acquisition of homes in flood-prone areas, debris removal and construction of floodwalls. ARC and State Flood Control Matching Grant Program funds are administered by DLG, an arm of the Office of the Governor dedicated to supporting local officials and communities. For more information, visit dlg.ky.gov.